Mileage Tyres is one of the largest wholesalers and importers of tyres in Ireland and in turn can offer all of the major brands at amazingly low prices. Gillian McDonagh works in the Mullingar-headquartered company’s purchasing department and told more to Irish Trucker when we caught up with her recently. They say family businesses are often the best ones and the fact that Mileage Tyres marked 30 years in 2016 speaks volumes about how far it has come since its inception. 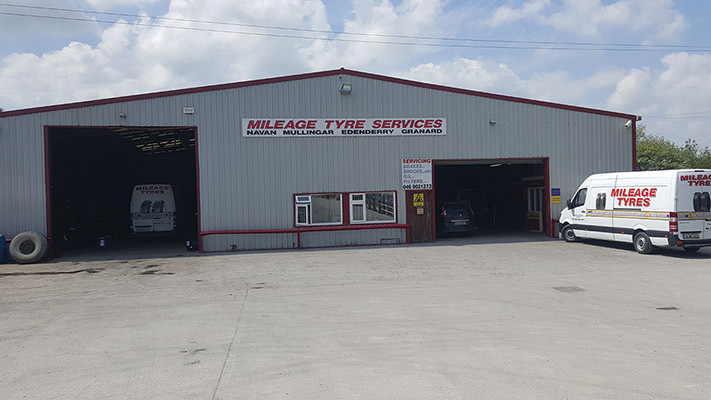 A tyre wholesale company based in Mullingar, Co Westmeath, Mileage Tyres specialise in the supply of tyres and related products to the tyre industry. They have a nationwide distribution with same day or next day guaranteed delivery on all major tyre brands, and are the sole importers for Avon, Zeetex, Maxtrek and Autogreen. Frank McDonagh is the company’s founder and current Managing Director and since setting up shop he has opened two more depots in both Navan and Galway as part of an expansion. His daughter Gillian has been working in the purchasing department at Mileage Tyres for a little over five years now and filled us in on exactly what they’re about. “We have three depots altogether, with one in Mullingar and the other two in Galway and Navan,”Gillian outlined. “The company has been established since 1986 and between our three locations we have 40 staff in total. My father Frank McDonagh is the Managing Director and it’s a family run business. My sisters Siobhan and Suzanne work in administration and retail respectively and I have a brother who is a sales representative. The history of the business dates back to a time when Gillian’s father was a depot manager for a company which remoulded tyres. Having learned the trade, Frank took it upon himself to start up a car tyre remoulding factory in Edenderry. The rest, as they say, is history. “He comes from a mechanical engineering background and when he started this company it began as a remoulding company, explained Gillian. Fast-forward by those 30 years from when Frank first got up and running and business is pretty good. “The tyre industry is quite a stable market and the hope here is to continue expanding the business,”she said. The company’s hard work and achievements down the years came to be recognised on a national scale last October when it was awarded the ‘Tyre Distributor of the Year’at the Auto Trade Awards. These awards are well-known for covering practically every sector of the Irish auto aftermarket, including the tyre industry, and the winners on the night were presented with their gongs at a Gala Dinner in the CityWest Hotel on October 22nd. “The ceremony was in the Citywest Hotel in October (2016) and it was a great night for the company,”said Gillian. So what’s the secret? How does a family run company which started from modest means in Edenderry come to employ 40 staff in three different locations? According to Gillian, carrying quality products and ensuring customer satisfaction has a lot to do with Mileage Tyres’success to date. “I think our customers come to us first because of the wide selection of tyres that we have here and the way that we take care of our customers as well. I think they find us very reliable which keeps them coming back to us,”said the Mullingar native. In return, Mileage Tyres give back to the community in the form of sponsorship towards local clubs such as The Elite Boxing club. “We do most of our sponsorship with clubs like these even so much as providing money towards a new ring,”said Gillian. “We also do a lot of work with Paul Kennedy whom is a drifter that and we continually sponsor him in the championship alongside our supplier Zeetex. Local racer James Kelly is another that the company is proud to sponsor, having competed in races all over the county and the world. “We sponsor the local boxing organisation in Mullingar as well as the golf club and the soccer club because we say giving back to the community as something important,”Gillian concluded. Now entered into its 31st year (and counting), 2017 will be about more of the same for Mileage Tyres - and that’s supplying all kinds of tyres as main agents for Avon, Zeetex and Maxtrek and brands.